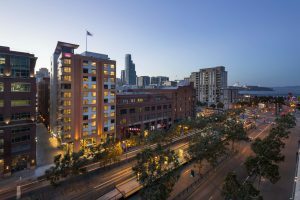 Stockholm – May 8, 2018 – ASSA ABLOY Hospitality, along with KEYPR®, is announcing the successful implementation of several innovative technologies at Hotel VIA in San Francisco. The first newly-constructed hotel in San Francisco since 2008, Hotel VIA has installed and is using ASSA ABLOY Hospitality’s VingCard Essence electronic door locks, Visionline locking system and the ASSA ABLOY Hospitality Mobile Access solution, which is available to Hotel VIA guests through KEYPR’s customized mobile concierge app. Hotel VIA’s 159 rooms are now equipped with ASSA ABLOY Hospitality’s VingCard Essence door locks, which feature mobile access compatibility to allow guests to use their smartphones to access their room. With the Visionline wireless locking system, hotel management can remotely monitor and control lock access and activity in the hotel. Hotel VIA has also deployed KEYPR, which includes a custom Hotel VIA mobile app, in-room tablets, and its Guest Experience Management System (GEMS®). KEYPR gives staff and management visibility into guest needs throughout their stay, the ability to offer targeted services, and the ease of monitoring operational KPIs. Hotel VIA also has KEYPR’s digital marquees installed at guest room doors, which offer workflow management for staff and the ability to add marketing messaging, as well as privacy and service indicators through an integration with INNCOM. 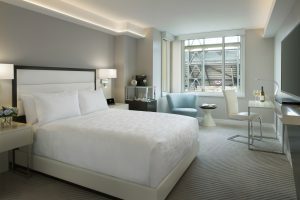 For more information on ASSA ABLOY Hospitality and its comprehensive line of locking solutions, please visit www.assaabloyhospitality.com. For information on KEYPR, please visit www.keypr.com.